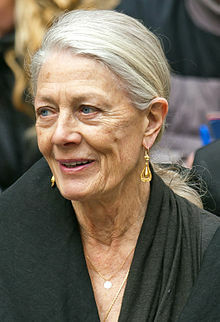 Vanessa Redgrave CBE (born 30 January 1937) is an Oscar, Tony and Emmy Award winning English actress of stage, film and television and political activist. I've been to Sarajevo a few times and have got to know a lot of people there who put on plays during the siege. I wanted to share in that because I knew it was important to them . . . I began to see something of what was going on there in terms of actually keeping up people's spirit to resist - the resistance that causes change - even in the worst imaginable circumstances. And I realized that it paralleled the same spirit that existed during the Holocaust and in the gulag. Theater and poetry were what helped people stay alive and want to go on living. That experience changed me, because I realized that if, as actors or writers or directors or designers, we can keep the will to resist alive in as many people as possible, then that's what we are about, and that's what we can do. It's more and more important because of the terrible things that are happening in our cities and the political and economic agendas that various governments have. Shawn, Wallace (April 1997), “Mission: possible - interview with actress Vanessa Redgrave”, Interview. As a mother you have got to have a view for now and a view for the future. Redgrave: Actress and campaigner, (6 December 2002), BBC News. accessed 17 December 2006. I've come to see through the course of my life that people understand what I've tried to do, however inadequately I do it. I've just found people have come to understand me and be glad that I tried to do what I tried to do. And I do feel very inadequate about it, but I feel I must try . . . I think that any citizen can understand that you must raise your voice and do the best you can to speak out. CNN Larry King Live (June 18, 2005). This page was last edited on 13 August 2018, at 16:46.